Obituary republished with permission of Thames Valley Scale Model Club. I’d like to thank them for their support of this project. As many of you may already know from the online modelling forums, it is our sad duty to pass on the news that IPMS (UK) and Thames Valley Scale Model Club stalwart Edgar Brooks passed away on the 19th of November. Edgar had been admitted to Stoke Mandeville hospital a few weeks previously and was subsequently diagnosed with cancer. From an early age Edgar had an interest in aeroplanes and, like many modellers of his generation, cut his teeth on carved balsa shapes. An early member of IPMS Thames Valley, he was also a founder of Aylesbury Scale Model Club. During the mid ‘80s Edgar became a Civilian Instructor with the Air Cadets up at RAF Halton where, once again, he was able to share the hobby with others and fire many a teenagers’ interest in scale models. It was during this period that Edgar was at his most prolific modelling-wise, with experiments in foiling, larger scale aviation models and a keen eye for cockpit interiors being his forte. Some may remember his 1:48th Liberator ‘The Dragon and His Tail’, numerous Spitfires and a beautiful 1:32nd Korean War Sabre, again, beautifully foiled. 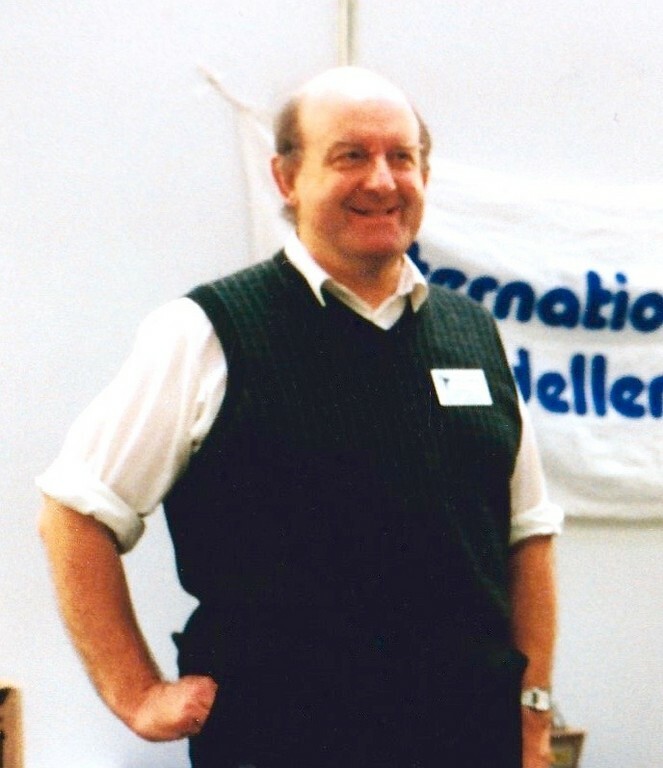 Edgar served on the IPMS Committee for a number of years, managing the society’s Technical Advisory Service; a role that fitted his interest in research perfectly. Not one to take it easy, he was also on the organising committee for the very successful RAF Halton Model Shows where he managed the ‘plastics’ side of these extensive and varied events. Born, raised and living in the general High Wycombe area throughout his life, Edgar had a varied career, from carpets to aircraft instruments, before retirement. He never suffered fools gladly, but was always happy to help with fellow modellers’ projects, no matter how obscure the question. With the rise of the Internet Edgar took to online forums like a duck to water and became a font of information for the world-wide modelling fraternity. In retirement he found additional time for his love of historical research and was frequently to be found pouring through documents at the Public Records Office. Whilst known for his interest and expertise on the Spitfire, Edgar’s interests encompassed many subjects and periods, and never seemed happier than when he’d found another piece of a particular research puzzle he was engaged in at the time. It wasn’t just us modellers he helped; if you have the latest 1:48 Airfix Spitfire Vb you’ll see a note thanking Edgar for his assistance on that kit. He will be sorely missed by those of us that had the pleasure of his company and influence over the years. On a personal note – back in 1983 he introduced me to model clubs, the IPMS, a whole host of wonderful people and my ‘conversion’ to 1:32nd scale aeroplane models in the mid ‘80s. I have a lot to thank him for! Blue skies Edgar – you’ll be greatly missed!